Although preserving healthy tooth structure is preferred in dentistry, sometimes a tooth is so damaged or decayed that extraction is required to maintain good oral health. At their practice in Hartford, CT, Drs. Steven M. Balloch and Joshua Lomke draw on a combined 30 years of experience to perform tooth extraction that is minimally uncomfortable. We also offer an array of tooth replacement solutions for patients who need permanent teeth removed. At our practice, we used advanced techniques to ensure your tooth extraction is as comfortable as possible. A tooth is severely infected and cannot be sufficiently addressed with root canal therapy. Crowded teeth are causing pain and misalignment. Receding gum tissue can no longer support the nearby tooth. 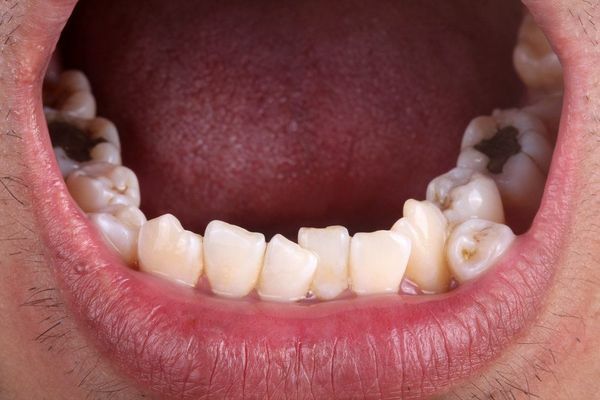 A tooth has endured severe decay or trauma, causing irreparable structural damage. A baby tooth has not fallen out before the permanent tooth erupts. A portion of the jaw bone is so damaged it cannot support the adjacent teeth. Tooth extractions may also be necessary if you are receiving restorative treatment or a dental prosthetic such as dentures in order to make room for the restoration. Our approach to tooth extraction is to make the patient as comfortable as possible throughout every stage of treatment. First, your doctor will administer a local anesthetic, as well as additional sedation if needed. Once the patient is completely comfortable, he will loosen the tooth by gently rocking it back and forth within the socket, and then remove it using forceps. The last step in this short procedure involves placing gauze over the socket to facilitate proper blood clotting. The recovery period for tooth extraction is minimal, lasting a couple of days. Pain medication may be provided to relieve any discomfort, although over-the-counter options often suffice. Patients are encouraged to apply ice around the mouth and jaw to reduce swelling, and eat soft foods to stay optimally comfortable during the recovery period. Patients of all ages may require a tooth extraction to ward off infection and other cascading oral health issues. Dentures to replace a full denture arch. The more advanced and preferred tooth replacement solution is with dental implants. This involves implanting titanium posts into the jaw bone and attaching the prosthetic to the post. Dental implants provide an unparalleled durability, and can last for decades, if not a lifetime. Whether it is severe dental infection, crowded teeth, or another reason, our doctors can safely and comfortably remove your tooth. Find out more about gentle tooth extractions by calling us at (860) 659-8660, or contacting us online.